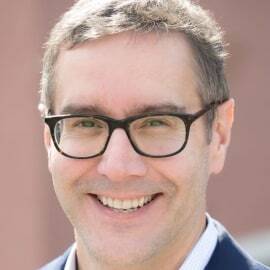 Paul Sznewajs is founding Executive Director of Ingenuity, a public-private strategy, advocacy and grant-making entity that ensures the arts are a central component of U.S. public education. Under Paul’s leadership, Ingenuity has driven the most progress in Chicago schools in nearly four decades. Ingenuity received the 2013 Chicago Innovation Award as one of the city’s ten most innovative companies. Paul also received Boeing’s 2013 Game Changer Award, cited as the city’s arts and cultural leader who effected greatest change in the sector that year. Paul has forged working partnerships and alliances with numerous city departments, the Chicago Board of Education, and almost every major cultural institution in Chicago. He is currently leading the implementation of a groundbreaking arts data and mapping platform with growing national implications. With nearly two decades of senior leadership experience, Paul has a track record of building, launching, and evaluating complex cultural social sector initiatives. He has worked closely on large-scale arts initiatives with national luminaries including Yo-Yo Ma, Renee Fleming, Damian Woetzel, Theaster Gates, Chance the Rapper and others, while engaging political leadership ranging from the White House to Chicago’s Office of the Mayor along the way. His professional experience spans across all aspects of nonprofit and philanthropic work including: executive leadership; public-sector planning and capacity building; grant-making and impact investment program design; designing and implementing large-scale public-private initiatives: program development; and metric-based outcomes and program analysis. As a chief fundraiser, strategist, creative director, and arts advocate, he has been honored by the White House and the President’s Committee for the Arts and Humanities for his work, and is a long-standing leader in Chicago’s arts and culture sector.